Two Android Ice Cream Sandwich has now available online with build number I9100XXKP4 and I9100XXKP8. Both of the two firmware were build as dated of December 20, 2011 for all Europe version of Galaxy S2 . This is the beta release of the said Ice Cream Sandwich for SGS II, and the exact release date of the official build will be coming soon. So, just always keep an eye on Samsung Kies and via OTA notification updates. 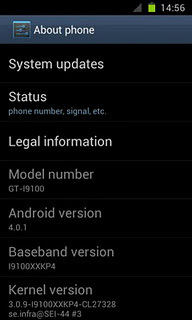 preview of the Android 4.0.3 Ice Cream Sandwich installed on Samsung Galaxy S II I9100. - All things are working but when you do 2 fast things he will say force close. - The system is stable , but i could not get faceunlock to work, it always fails to set up. - Not all simcard accepted or work. The Odin flashable I9100XXKP4 and I9100XXKP8 Android 4 stock ROM is now available for grab courtesy of sammobile.com. Just remember that this is an alpha release by people that work at Samsung. This is not a official rom for KIES. 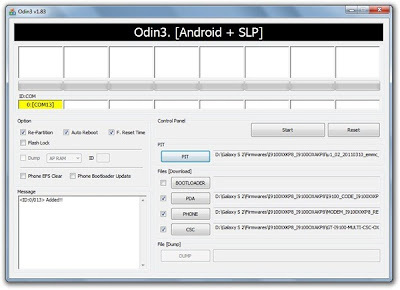 Odin installing/flashing procedure: This is a manual installation procedure on how to upgrade the Samsung Galaxy S II to Android Ice cream Sandwich using the above stock ROMs. - Make a back up of all important files stored on the device, it will all deleted during this process. 2. Run ODIN and load each specific binary files on the designated buttons. Then connect the phone to PC when the screen says" Downloading - Do Not Turn Off Target"
If you can't get into download mode, use a Download mode jig. 4. Hit the "START" button. Let the whole process finishes, once it successfully installed. Wait until the phone reboots. 5. 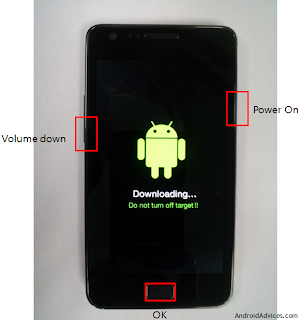 Now, Set the device into download mode again, this time flash the Kernel binary file on the PDA button. We need to flash the kernel files to avoid certain issues like bootloops and sudden auto reboots. Again let it finish, once the phone reboots, its now safe to unplug the phone. Do Wipe data/factory reset to get a fresh firmware installed. By typing *#1234# you can check your firmware info.